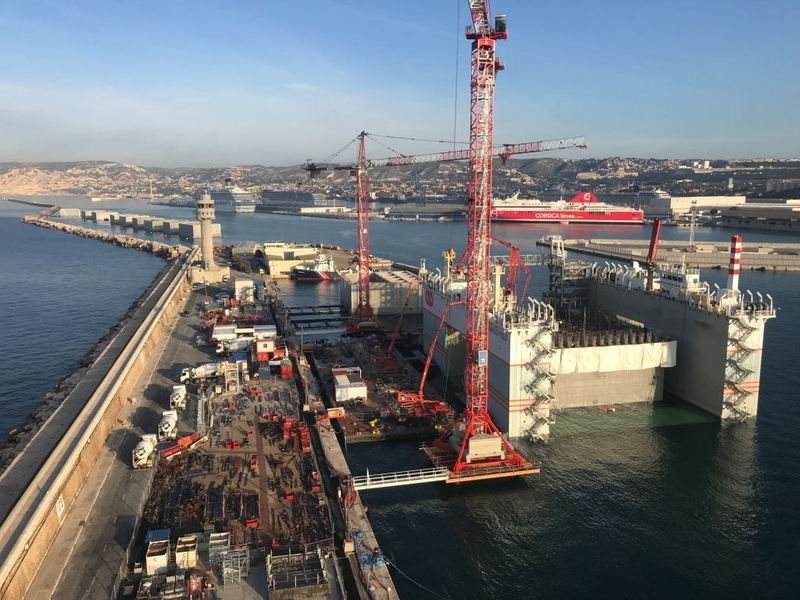 NB 56 "Marco Polo", a floating dock built by the CRIST shipyard for a French shipowner, completes the construction of the last caisson, for an international project that will increase the surface of Monaco! 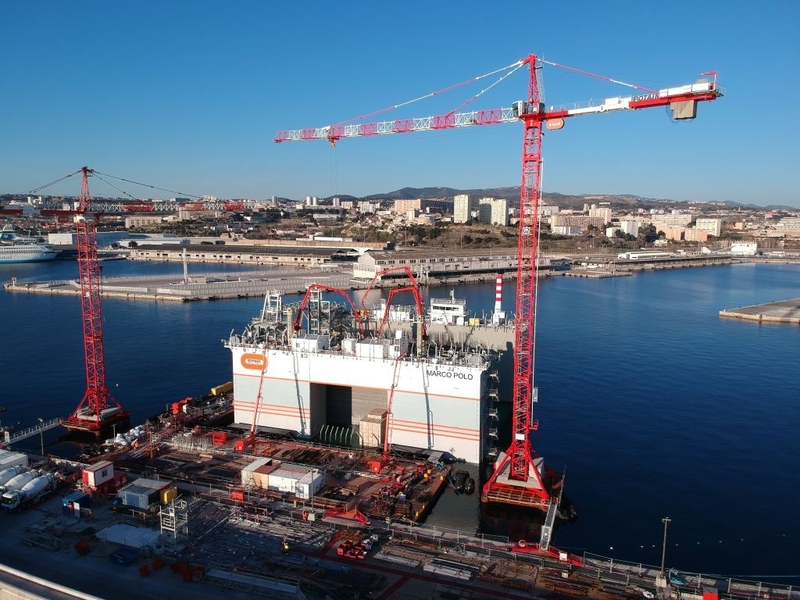 The floating dock is part of the contract for the Bouygues Travaux Publics company, that together with it partners is realizing a project for a new district in Monaco. The project will be made possible by converting a part of the Bay of Monaco to dry land. On the area of ​​60,000 m2, there will be luxury apartments, promenade and parks. 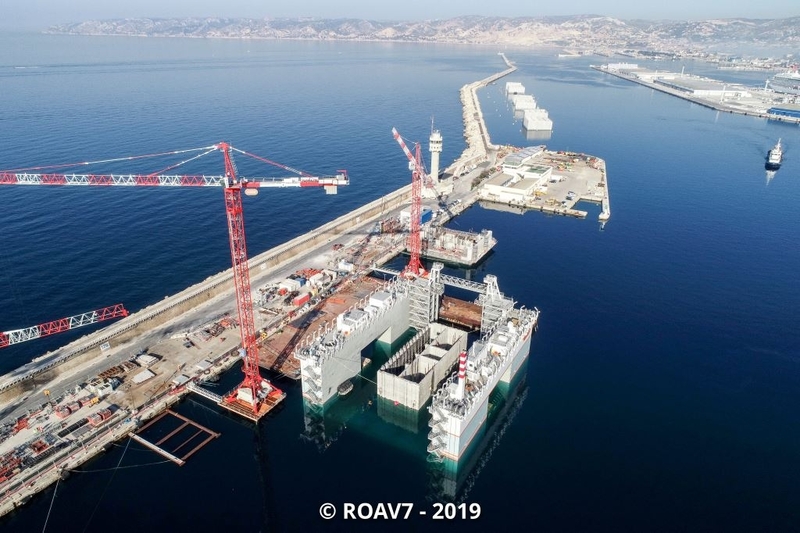 The unit, built entirely by the CRIST shipyard, had the task of building caissons, made from reinforced concrete as foundations for the new land project land project in Monaco. This is the first stage of the investment, which will allow to increase the area of ​​the Duchy by nearly 6 hectares. The fact that during the construction of the dock the knowledge and experience of polish engineers and workers was used was also worth noting. The task of the shipyard was to develop, construct and test the new unit. 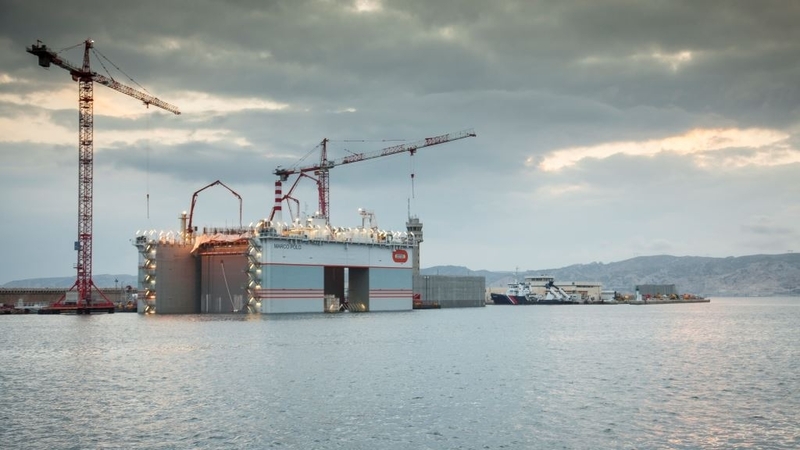 The floating dock was equipped, among others things, with an innovative ballast and measurement system ensuring, among others, continuous leveling of the unit, safety during work and protection against wind, waves and currents. 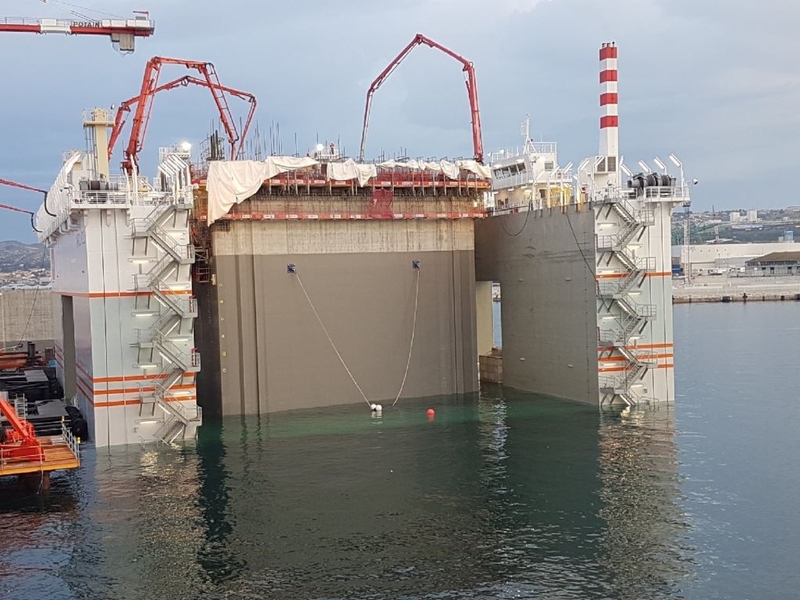 - We are pleased that the unit entirely designed and built at the CRIST shipyard, took part in such a prestigious, international project. "Marco Polo" performed its task perfectly, which proves the professionalism and high quality of work done by our shipyard - say Łukasz Topa, Project Manager, CRIST S.A.